We all know that jokes about the large quantities at a big box store. Now, everything isn’t always a deal there, but we have found the meat to be good quality and fairly reasonable in price. BUT, even if you are not a member of one of those stores, you can still utilize this information with your local grocery store. You will just need to buy LARGE! 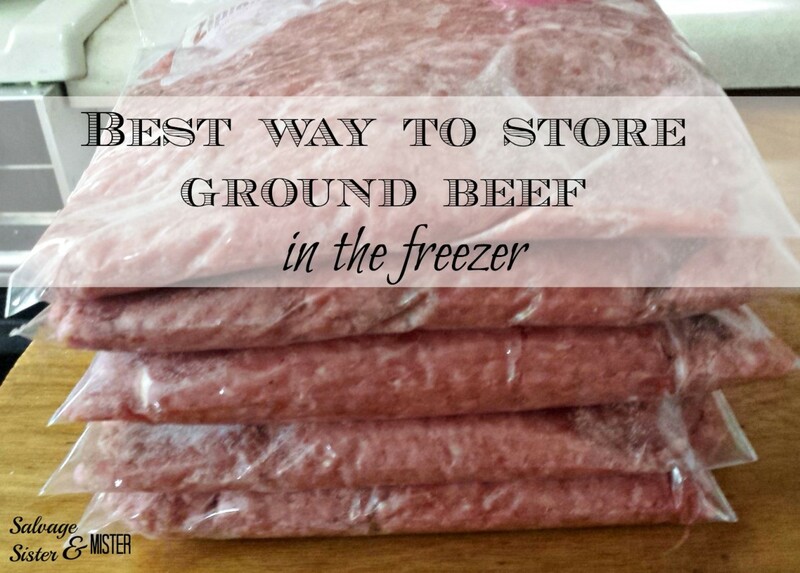 Around once a month or two, we purchase the largest ground beef package (we prefer 80/20 if we can get it). We also try to get as close to the exact pound as possible. TIP- Do you know why they package meat in off numbers? To add extra that you wouldn’t necessarily purchase if it was spot on. Smart huh? Now you are in the know. Once home, we have a system in place to deal with that beef. *Affiliate links used to show the same or similar items used. We could receive a small amount if a purchase is made. You can read our disclosure policy here. 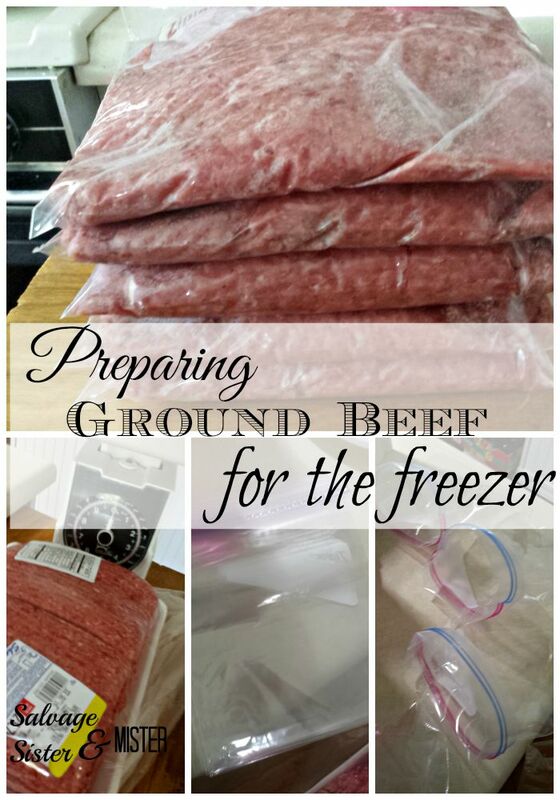 Grab quart size freezer bags. Open them up and fold over the top. Also label your bags with the contents and date. Grab a chunk of beef and plop it in the bag. Usually one person is the bag person and the other the beef person so there isn’t cross contamination. We use a food scale, but honestly we could do it without it cause we just have an idea of what 1 lb looks like after doing this for awhile. The bag person seals up the bag and flattens it. Since they lay flat, place them in the freezer. When you are ready to use, you can either place a bag in the refrigerator to defrost or in the microwave. *If you defrost it in the refrigerator, always place it in a tray so that if the bag leaks, it won’t make a mess. Another option is to cook the meat so you can pull it and add to a sauce or what have you. We like both of these methods. Now, no one will ever have to ask “Where’s the beef?” around here! If you want to find more tips and tricks, you can check out these posts HERE, HERE, and HERE.